A LONDON man is due to appear before magistrates today, after Eurostar services were disrupted for 12 hours by a trespasser near St Pancras International on Friday night. He was seen on the roof of the covered viaduct which carries HS1 over the East Coast Main Line. 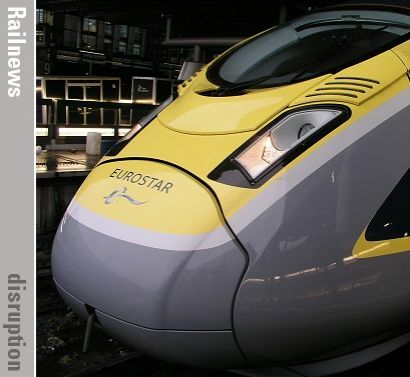 Eurostar and Southeastern High Speed services were interrupted for several hours, because the OHLE had to be isolated until the trespasser could be removed. A man has been charged with obstructing the railway and causing a public nuisance, and is to appear before Westminster Magistrates.